HARLEY QUINN Spinsanity at Six Flags Over Texas open on July 14. 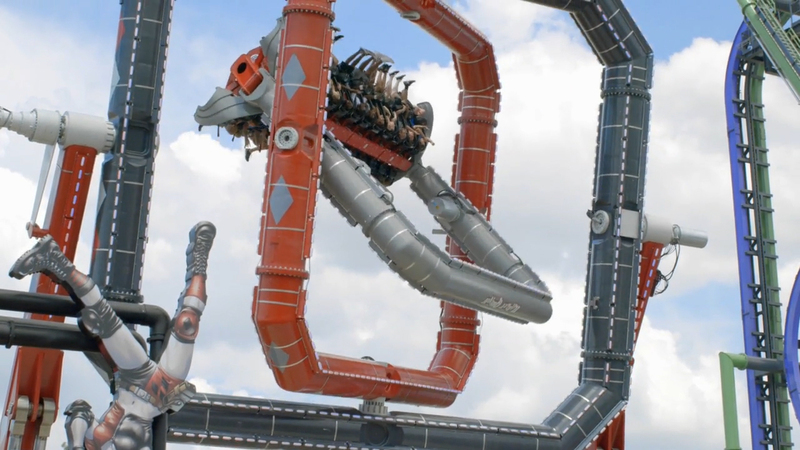 This next generation thrill ride features a unique futuristic triple box design that allows the gondola to spin around three separate axes while rotating forward, backwards and sideways simultaneously at up to 70 feet in the air. 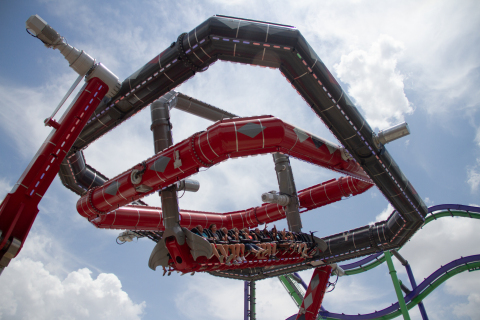 ARLINGTON, Texas--(BUSINESS WIRE)--Six Flags Over Texas, the Thrill Capital of Texas, in partnership with Warner Bros. Consumer Products, on behalf of DC Entertainment, announces the next generation in thrill rides and the first-of-its-kind in the world — HARLEY QUINN Spinsanity. Inspired by the movement of a gyroscope, this record-breaking attraction delivers unpredictable, gravity-defying flips, twists and turns. HARLEY QUINN Spinsanity will open to the public on July 14 and take its rightful, villainous place alongside THE JOKER, CATWOMAN Whip and THE RIDDLER Revenge in the park’s GOTHAM CITY section. A dazzling nighttime light display. HARLEY QUINN Spinsanity will open to the general public on Saturday, July 14. 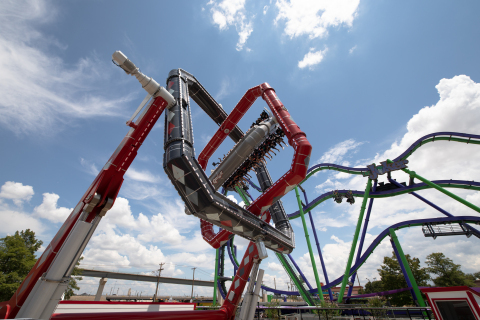 For more information about the 2018 season, visit sixflags.com/overtexas. Six Flags 2018 Season Passes and Memberships are currently on sale. Members can now enjoy priority park entry and tremendous discounts of up to 50% on nearly all food and merchandise purchases all season long. 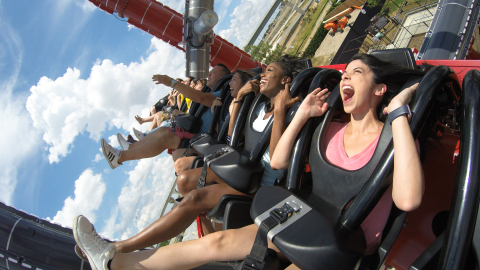 Members also receive skip-the-line passes, sneak previews, and extended ride times on some of their favorite rides and attractions.